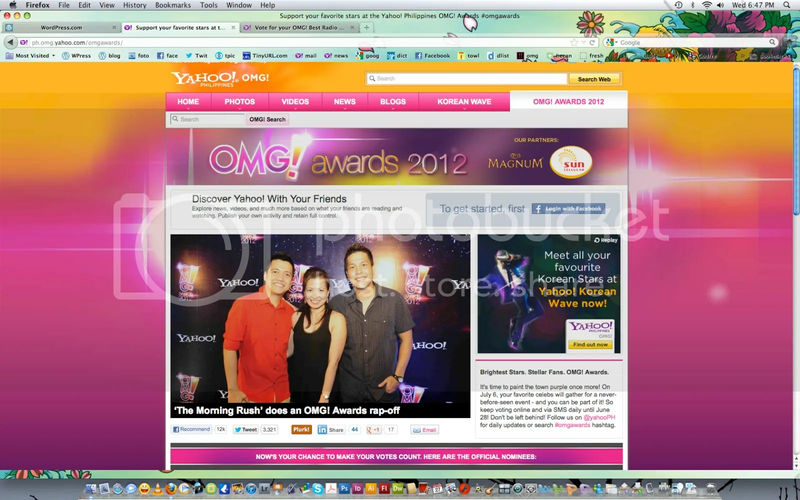 One Last Hurrah: Please Vote For THE MORNING RUSH on the OMG Awards! But by no means is this a sure thing! There’s still 24 hours left in the online voting, and there’s still the text voting to contend with! This chart reflects the online votes ONLY. The text votes will just be factored in last minute. Rally behind THE MORNING RUSH via SMS! Type OMGT 2 and send to 2222! · Vote as many times as you want! Every text vote costs P2.00. · Open to all Sun Postpaid and Prepaid subscribers. · Voting closes on June 28, 2012. So therefore, we ask that if you’re inclined, to keep voting for us, one last time, to win the BEST RADIO SHOW award! We won’t know the results until the awards night on July 6! 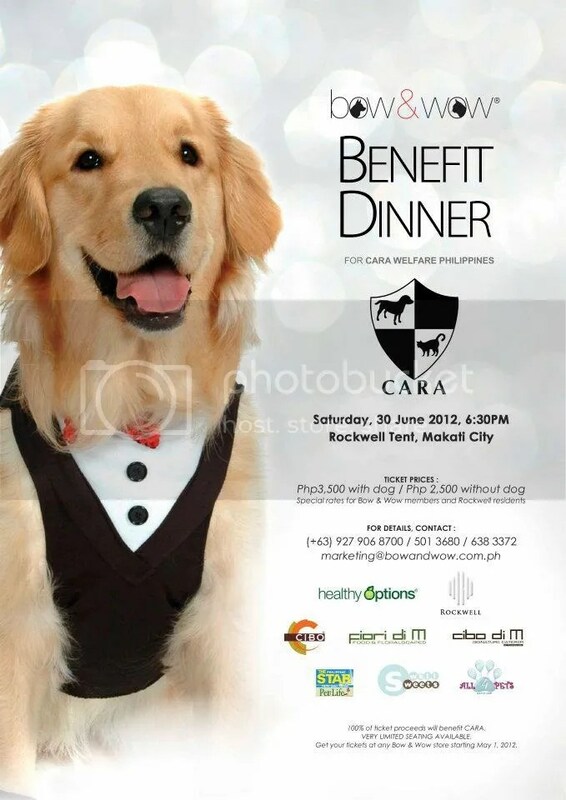 We will be giving away tickets as well for Rushers who would care to join us on July 6. So please keep voting, and let’s bring home the prize! Thank you!!! Cignal Rush: The Great TV-Cignal Sale! Imagine the best time you had watching TV, vivid, crystal clear pictures playing before you while hearing crisp, larger than life sounds coming from your set. Great, isn’t it? Now take that experience and magnify it ten times! That’s how watching TV is on Cignal Digital TV. To experience the Cignal digital difference yourself, head on over to Cignal Rush, a mall caravan tour happening in Alabang Town Center, Shangri-La Mall, Ayala Center Cebu, Gaisano Davao, and Robinson’s Bacolod from June 29 to July 2, 2012. This is where you can get amazing deals on Postpaid HD subscriptions with discounted TV bundles on Devant, Samsung and Sony TV packages, discounted installation fees, and other freebies. Cignal is the Philippine’s largest direct to home satellite provider. 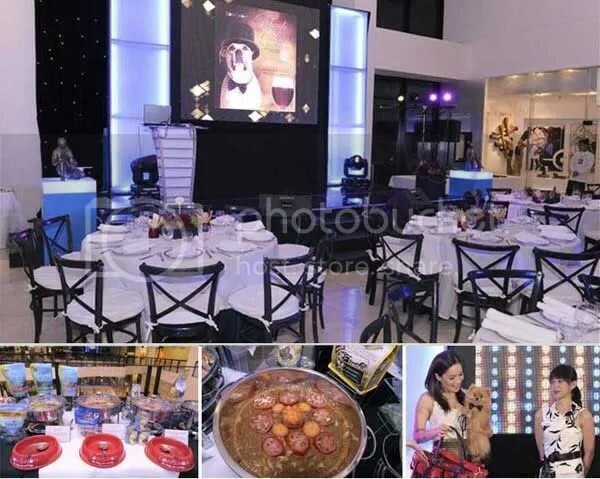 Launched in 2009, Cignal broadcasts to households and commercial venues nationwide using DBS (Direct Broadcast Satellite) technology, giving you 100% digital images that’s 100% clear 24/7. Cignal broadcasts in high resolution, the same picture-sound quality you’ll find in Blu-Ray and HD DVD formats. Because it uses digital state of the art satellite technology, Cignal’s broadcast reaches every part of the Philippines without compromising picture or sound quality. You can take Cignal to non-cabled areas, coastal waters, mountainous regions and virtually anywhere in the Philippines’ 7,107 islands, and get the same 100% digital, 100% clear TV viewing experience that Cignal promises. Now doesn’t that make you want to dash over to the nearest Cignal Rush venue and take advantage of the great TV-Cignal sale for the ultimate TV viewing experience? Does not include establishments with existing exclusive agreements with other pay tv providers. When it comes to many things in life, we actually know what to do, we just don’t want to. This ad is the perfect example of this. 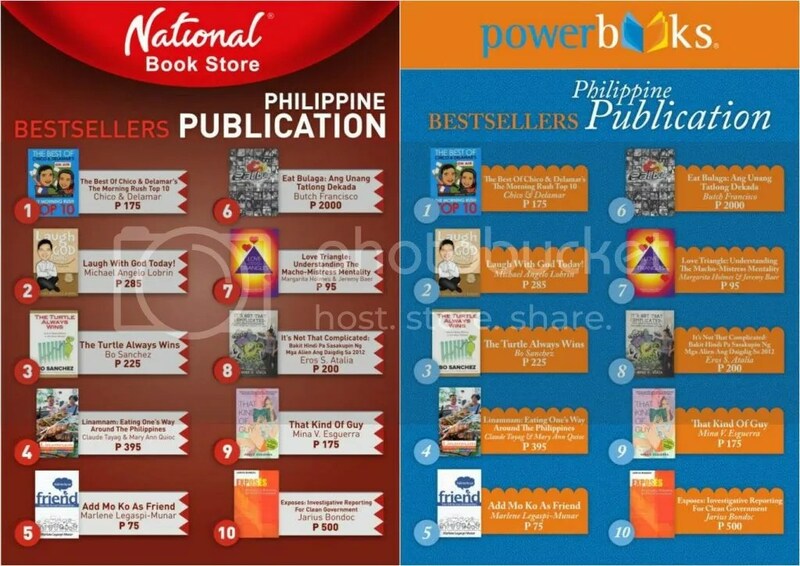 The Best Of Chico & Delamar’s The Morning Rush Top 10 Still #1 In NBS & Powerbooks! Thanks to JRhyan for sending the photo! Wow, more that 6 months after we released the book, it’s still selling vigorously! It’s still #1 for the month of June 2012! No words to describe how good it feels that a little pet project could be enjoyed by so many people! Hehehe I hope it still stays in the charts until we release book two! So go and get a copy (or copies) in your favorite bookstores, in case you haven’t yet, or get new copies in case your books are getting all worn out! Again, thank you to everyone who’s still buying, and we promise to try our best to come up with more goodies for the sequel! Proof positive that sleaze, like beauty, is in the “eye” of the beholder. And also starred as Darren Criss’s brother in Glee.